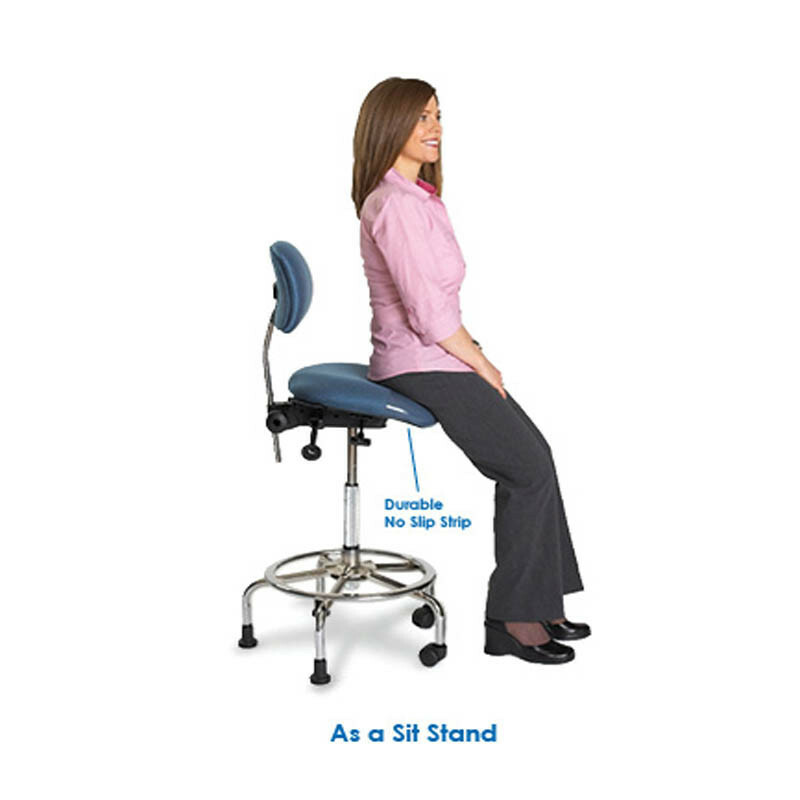 3 in 1 Sit Stand - Use as a Chair, Lean on Perch, or Stool. The 3 in 1 sit stand is a seating system that is literally three chairs in one. 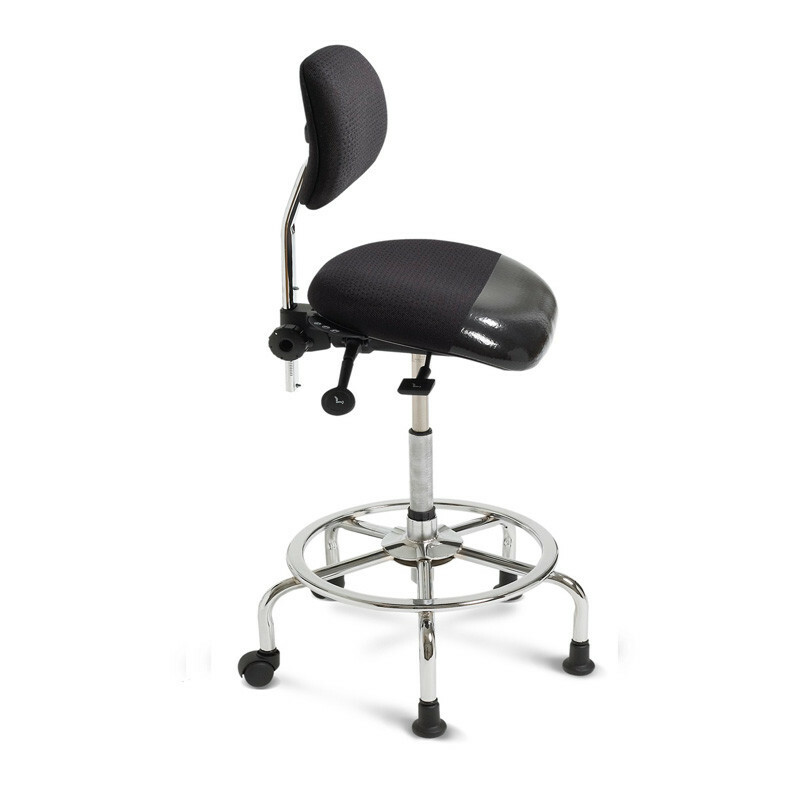 Designed to provide suppoort while seated, as a lean to support and raised to a stool height, this is the most versatile chair available today. 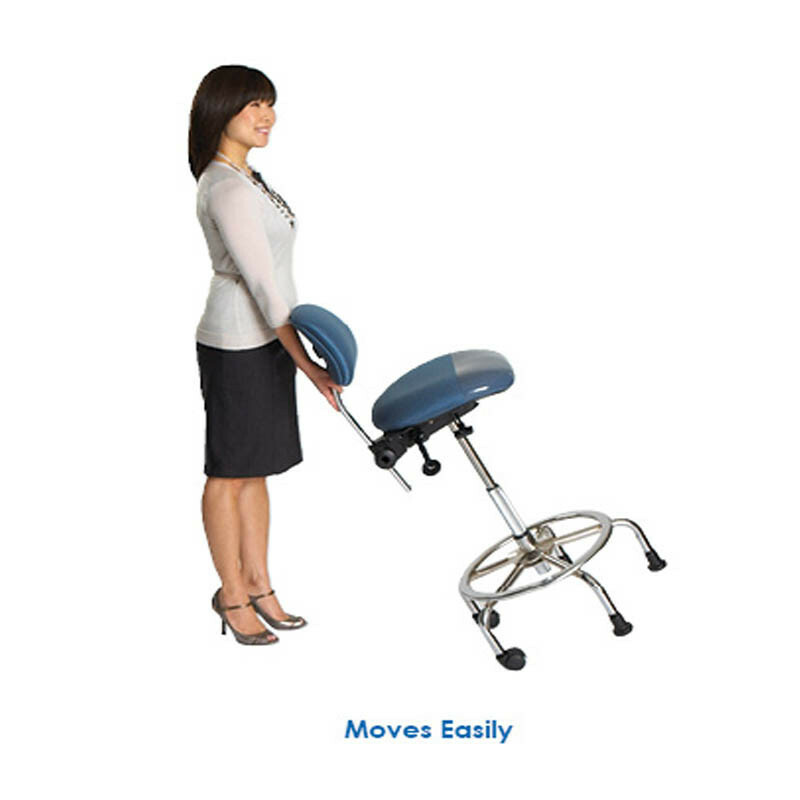 The back support provides continuous back support whether seated or in a leaning position. 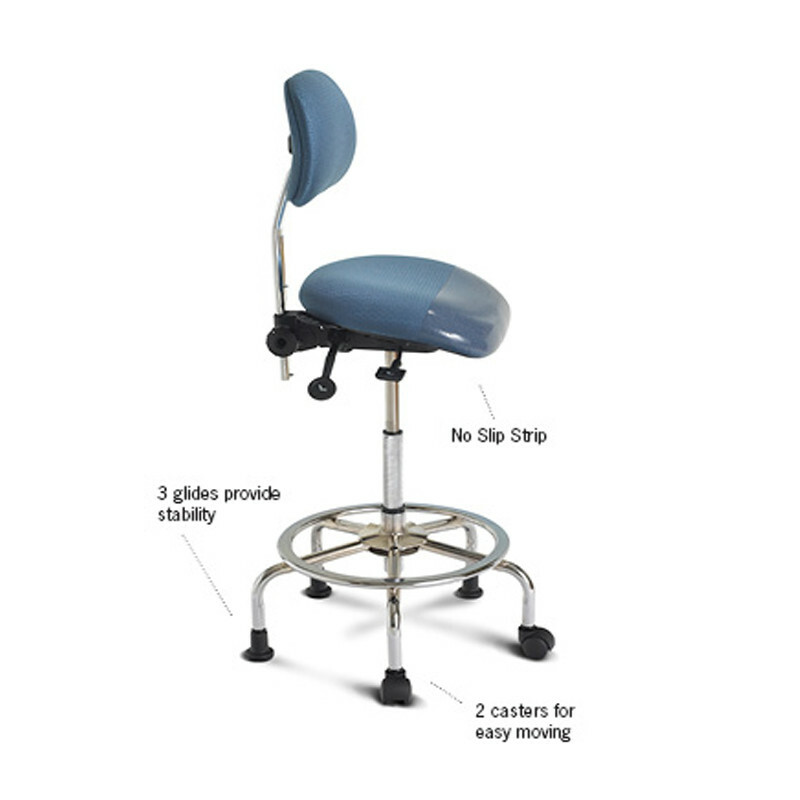 The two caster / three glide base provides stability while also allowing for ease of chair relocation. The 3 in 1 is ideal for applications where multiple surface heights are present or where employees need to vary their working positions at higher worksurface heights. 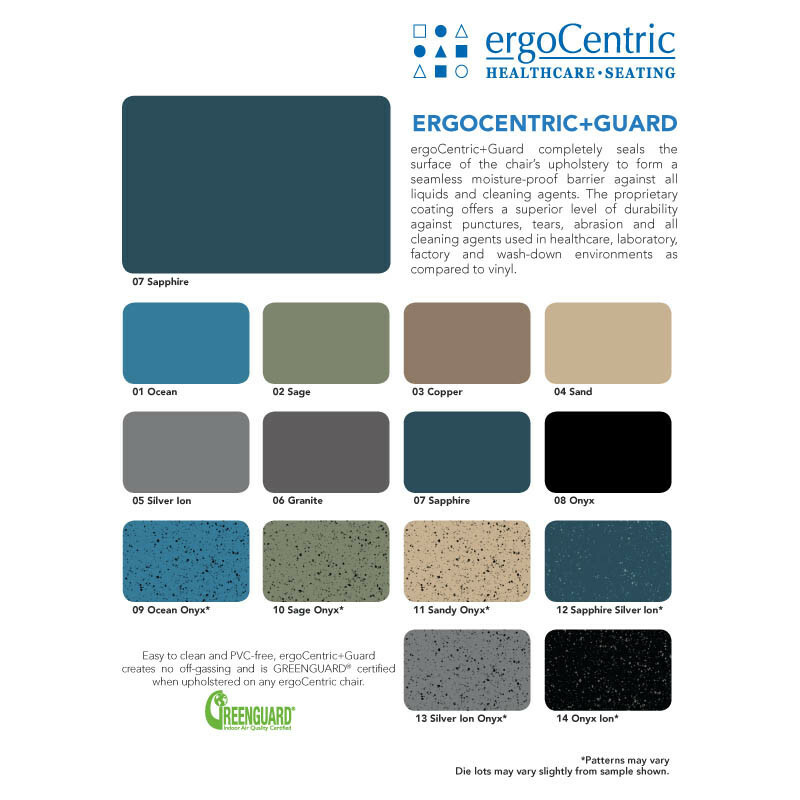 Available in Sapphire or Onyx fabric colors. Ships fully assembled within 20 business days. 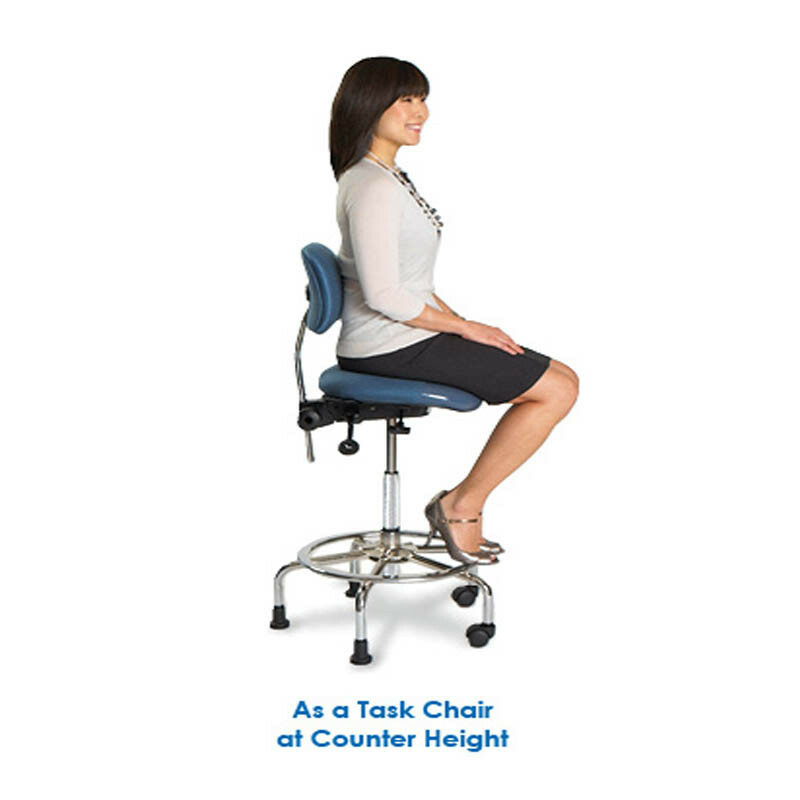 Seat Height - 19.25" - 35.5"
Height From Seat: 5.5" - 8.5"
Height From Seat: - 7.25" - 10.25"
Height From Seat: - 6" - 10"
Height From Seat: 6.75" - 10.75"
Height From Seat: 8" - 11"